The number of Super Bowl bets pouring in on New England Patriots has sportsbooks expecting to cheer for the Rams Sunday to help them avoid some big losses. Many Vegas and overseas books were reporting early and heavy money on New England, but the line has held at -2.5 to -3 at sportsbooks. 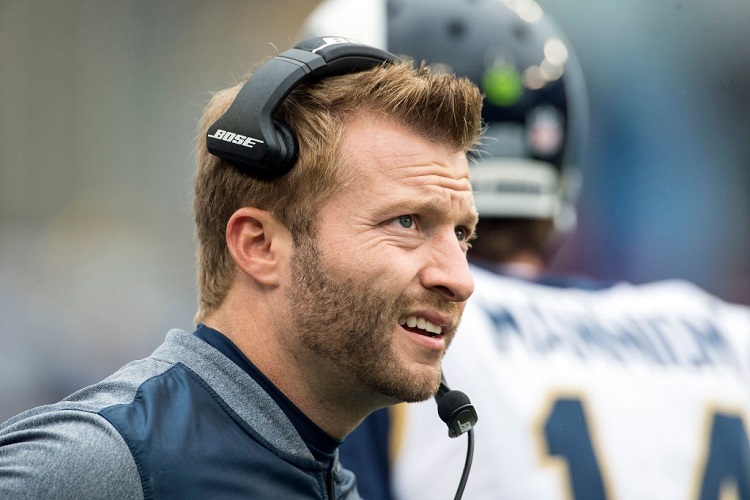 “Unless a ton of late money comes in on the Rams, we are going to be cheering hard for Los Angeles as we have nearly 80 per cent of the point spread handle on the Patriots,” BetOnline.ag spokesman Adam Burns said Friday. He said moneyline bettors are also heavily on New England, with three of every four moneyline Super Bowl bets on the Patriots. The number is around -138 at BetOnline.ag. It was a similar story over at Bovada where sportsbook manager Kevin Bradley had more than 76% of the action on the Patriots at midday on Super Bowl Sunday. OVER bettors are also punching plenty of tickets at BetOnline, with about 55 per cent hoping that the 5-1 run of OVERs in the past six Super Bowls will continue. Casual fans love to see scoring and usually bet OVER, which has been a successful square move lately. At Bovada, the OVER was sitting at 59% as of midday on Super Bowl Sunday, according to Bradley. What about the Super Bowl bets on the coin toss? Another rookie bettor play that could cost the sportsbooks money is the Super Bowl coin toss prop. As usual, bettors like to take heads and about 55 per cent of the bets have gone this way again so far, said Burns. It was even higher at Bovada, with the heads at 57% and tails at 43% just a few hours before kickoff. Some bettors may wait to see the result of the coin toss before rushing to place their side bet because of a bizarre Patriots trend that has hit all eight times in their Super Bowl appearances. When the Patriots lose the coin toss, they win the game (5 times). When they win the coin toss, like they did last year against the Eagles, they lose every time. “We also wouldn’t mind a player taking a knee during the anthem because all three of our props are heavily on the ‘no’ side of that prop,” he said. Bradley said Bovada was sitting with a lot of Todd Gurley MVP money, so they were cheering for CJ Anderson to steal some of his thunder. Having the game go to overtime or seeing a safety are both bad results for the book, meaning bettors would make out like bandits in either scenario. Speaking of the anthem, a slight majority of Super Bowl bettors believe Gladys Knight will stretch the Star Spangled Banner beyond 1:50. About 52 per cent of the action was on the OVER, despite the fact the only Knight anthem available on youtube has her finishing in less than 1:40.